Our mission is to turn personalized cancer medicine into practice by developing high quality cutting-edge tools for molecular diagnostics. Since it has become clear that the path to improve outcomes of cancer patients is to develop targeted therapies and to enhance personalized medicine, molecular stratification has become the key technology for the future of cancer management. 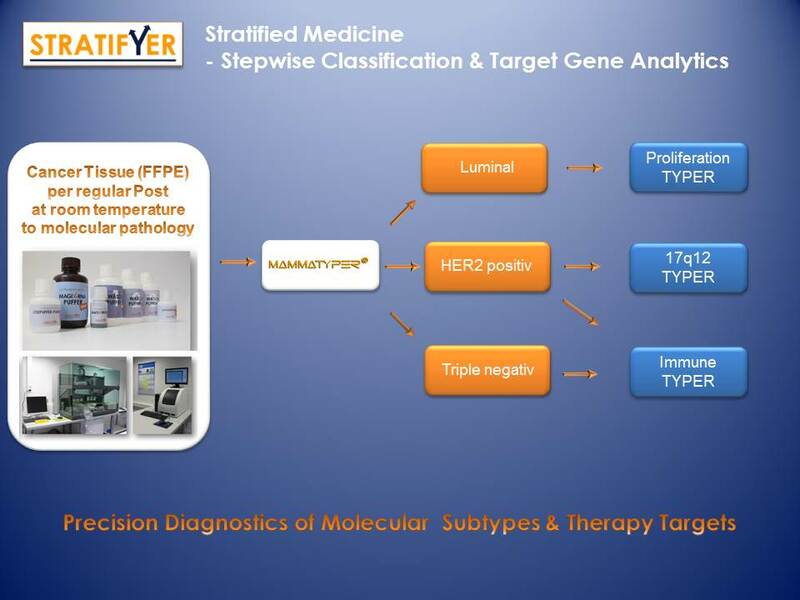 Using its innovative technology platform for rapid fully-automated DNA/RNA molecular diagnostic testing, STRATIFYER Molecular Pathology GmbH provides the pharmaceutical and diagnostic industry with reliable and validated tests for molecular stratification. "Personalized Medicine is the goal – Stratified Medicine as the next step"